Vanguard entered the Canadian market in 2011 armed with cheap ETF fees, along with its formidable size and global brand name, expecting to easily attract investors. But today, it is Canada’s third-largest ETF provider, trailing its rival BlackRock and Bank of Montreal by only 8.6% according to research firm ETFGI. 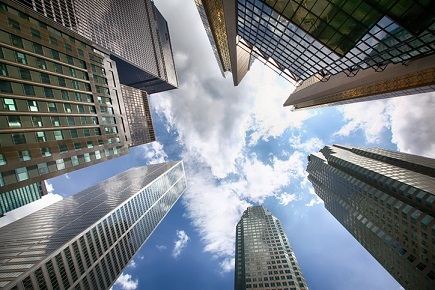 Canadian banks’ strength, concentrated mainly among six large lenders, is due to their tight connection to their clients’ everyday lives. They also benefit from an emotional attachment that exists despite Canadian’s complaints about them. “The only market that has a banking system as strong, and concentrated, and frankly as well regarded, is Australia,” said McNabb. For decades, the banks have outlived and acquired many independent rivals. Investors have also preferred to buy holdings in their mutual funds even when they charge ten times more than ETFs. While ETFGI has estimated Canadian investment in ETFs at $110 billion, the Investment Funds Institute of Canada pegs investment in mutual funds managed by banks and independents to be at $1.3 trillion. This year, though, Vanguard is gaining momentum. It has managed to get the second-highest net inflows in Canada, and its low fees put it in a good position as regulators crack down on high-cost mutual fund providers and hidden investment fees. The scale at which the asset manager operates lets it spread fixed costs over more client funds, allowing it to charge average fees of 0.15% compared to more than 1% for mutual funds. It’s not going to be smooth sailing, though, as low-cost options are becoming prevalent due to the current vogue for passive investment. Still, McNabb sees one factor to help Vanguard stand out. “Advisers and brokers are going to be very dependent on education,” he said, explaining that Vanguard’s high-quality people can coach them on why Vanguard’s funds may be better than those from other firms.